I had seen people posting photos of this dress on instagram for the past few weeks and I knew it had to be mine despite not really being very flattering or fitting very well on the top half (might try and alter it). 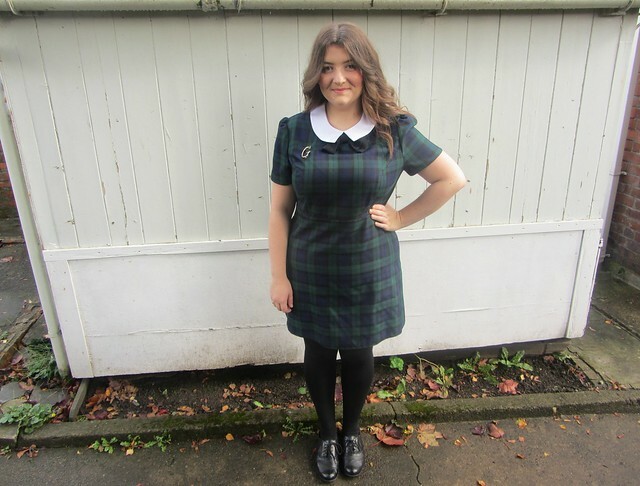 I love tartan, peter pan collars and bows, if only this dress had a skater style skirt then I would be in heaven. I wore this dress on Saturday when I headed to Cardiff for a meet up, shopping then a show in the evening. 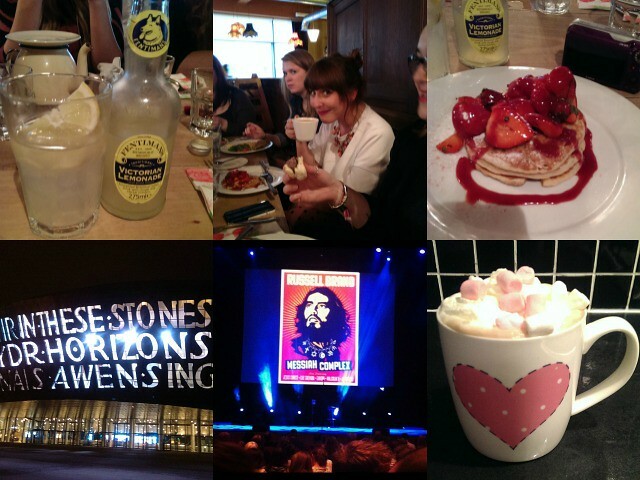 I spent far too much money in the Fred Perry shop, ate out for lunch and treated my mum to a meal before the show. I think I need a big win on online bingo to try and recuperate the money I hemorrhaged on that day. Oh well, I had fun and that's what counts right? I met all the girls for #cardiffmeet at Cosy Club and had some lovely berry pancakes for lunch. It was great to catch up with some local bloggers and meet new ones, such a nice way to spend a Saturday afternoon. I want to say a big thank you to Georgina and Helen who organised it and it was lovely to see Leanne, Linda, Laura & Mia, Nina and Elle. Saturday well and truly tired me out so I spent Sunday at the gym and at home relaxing and catching up on Strictly. Can I have another two days off to get over this weekend? Can barely keep my eyes open. Ah can I go back to the Cosy Club Gem?! Jealous! You look fab in tartan! Love this dress on you - certainly looks as though it fits nicely in the photos! Lovely outfit, it looks gorgeous on. I saw it at the weekend in store, but decided against it. Love the photo with the woofer too, haha, she's like "what? But I want to play?" It was so lovely to see you again and you looked amazing! Hopefully see you again soon! Looks like you had an amazing weekend! Even though the dress is perhaps not that fitted it looks great on you, really love it and it has a Fred perry Look although not the price which is amazing!! Ahhh wish I knew about the Cardiff Meet? How do I find out about the next one?